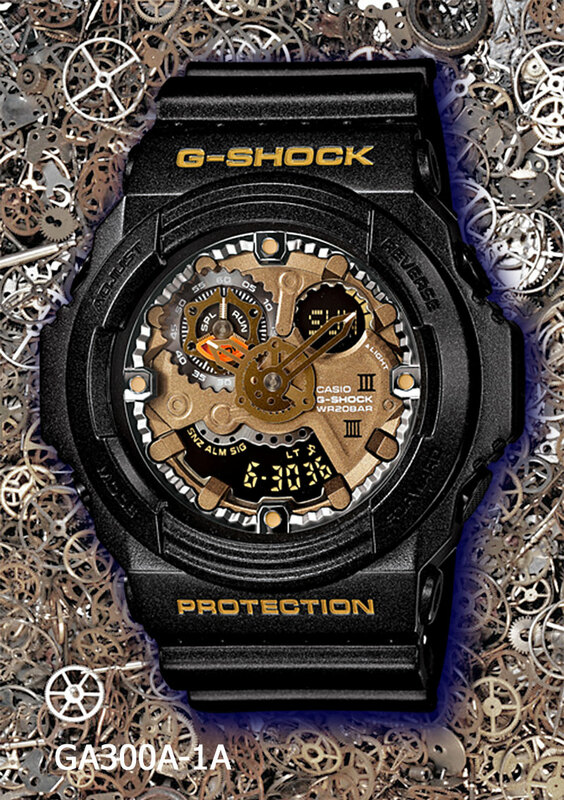 This is a new model, themed “gear motif” in it’s dramatic three-dimensional face layout, is G-Shock’s most busy dial to date. 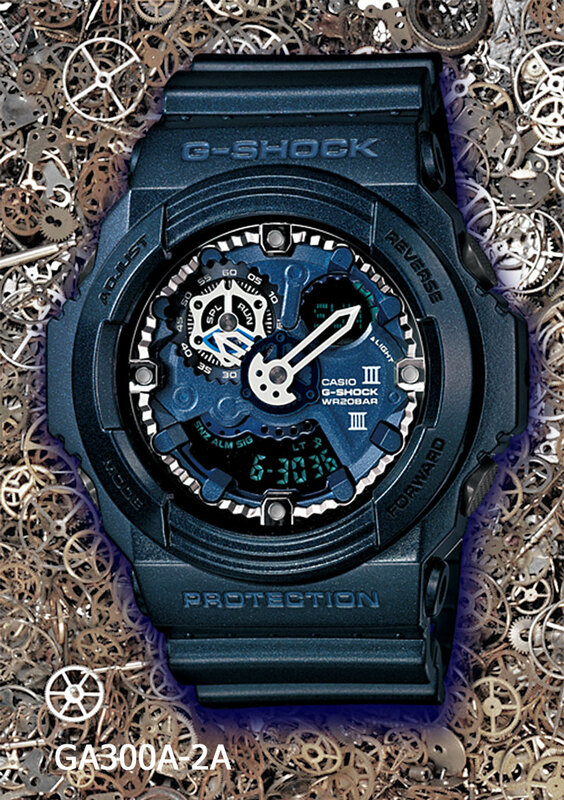 It first appeared as a 30th anniversary model, GA-303B, in a blue and black colorway. 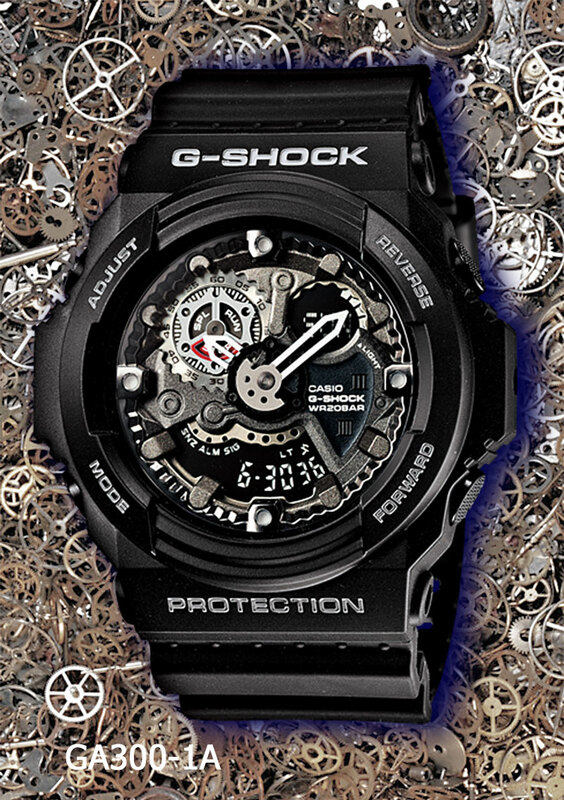 It, like it’s predecessors in the various GA lines, (the analog-digital hybrids,) is large (52mm), features anti-magnetic movement, and has the signature integrated resin strap with doule-tang buckle fastener. 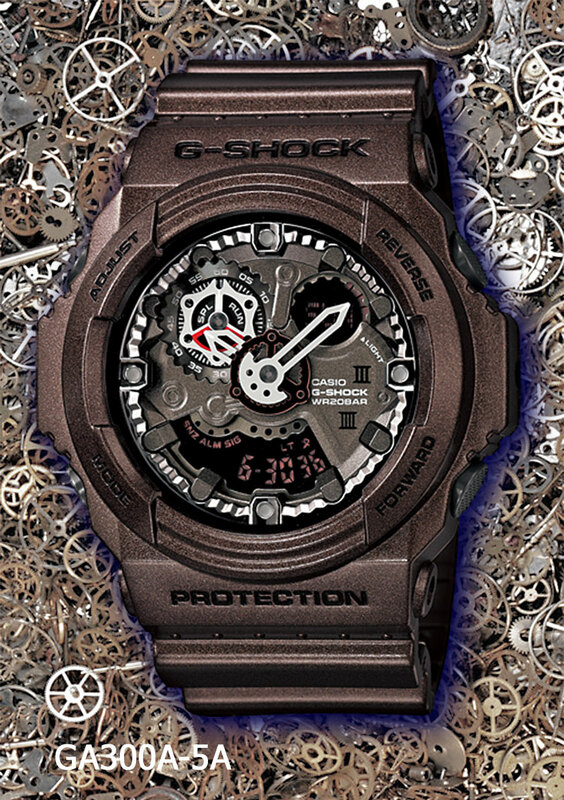 It’s “super-illumination” auto (comes on with a flick of the wrist) back-light is a dual LED that more than adequately lights the dial and hour hands while showing off the watch’s metallic details. 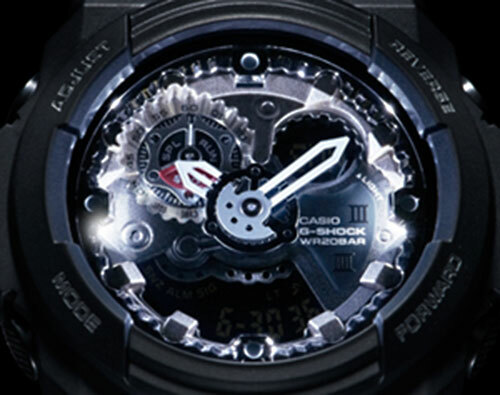 Features include: world time, stopwatch (1000 hours), countdown timer (up to 24 hours), five alarms (one with snooze), full auto calendar, military time (24 hour) (user switchable) display, and a three year battery. When this series comes to the USA it should sell for around $150. 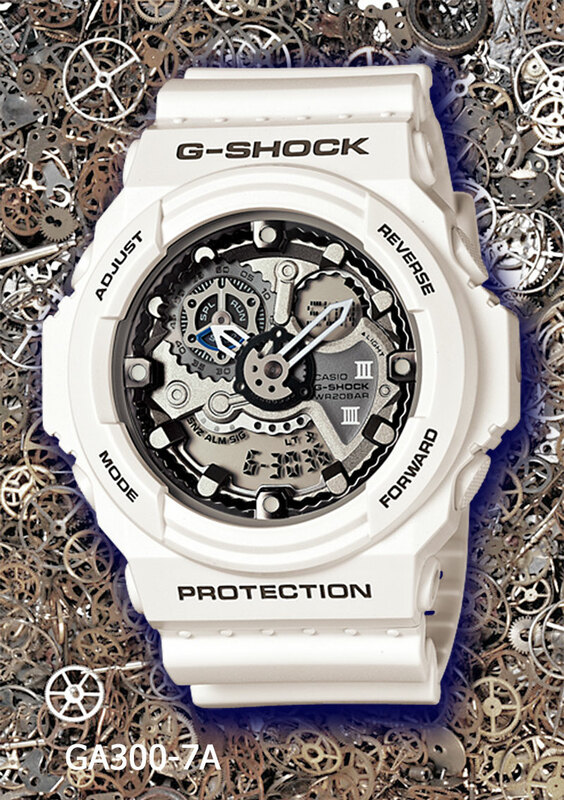 The following videos are helpful showing the large size, complicated dial layout and LED illumination. Otherwise, unfortunately since they are not in English are not so informative on the features and benefits of the products. Note that the videos can be switched to HD for a better look. Thanks to Siam- naliga for providing the videos on YouTube. 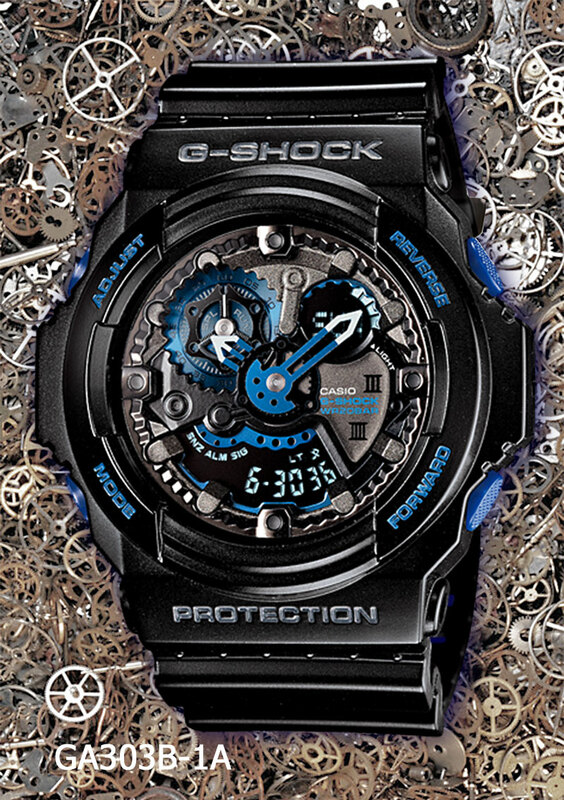 UPDATE September 2014: the following watch, GA300BA-1A was added to the USA G-Shock catalog MSRP $160. 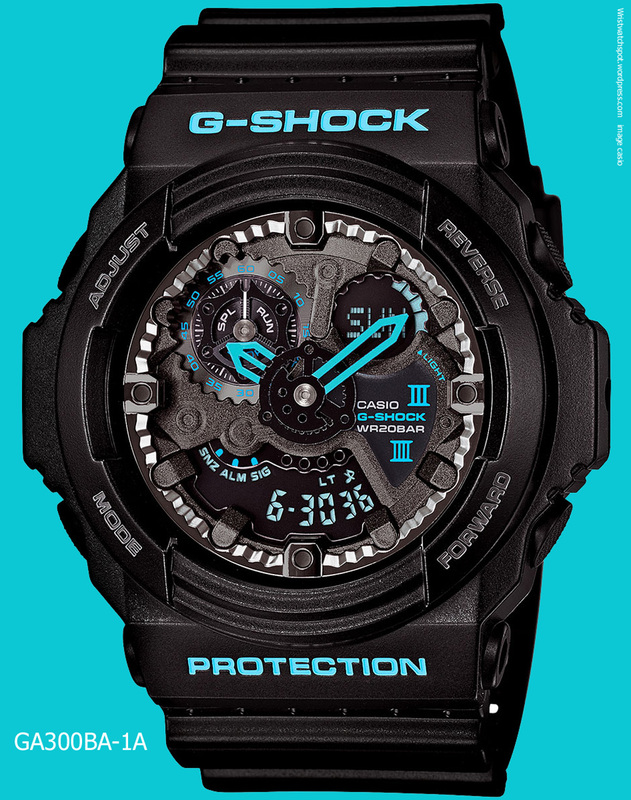 It is a rendering of the original GA300B-1A in which the blue accent color is brighter and a couple of details are changed.